The Gaston County Workforce Development Board helps connect talent to jobs. Our mission is to help employers meet their workforce needs, and help individuals find jobs and build careers. We serve individuals and businesses within our area by providing access to the programs and services that help employers find and train the best employees, and alternatively help individuals gain training and education to become more employable. Our offerings are multi-faceted and we collaborate with a multitude of businesses, educational and training institutions, community agencies, as well as regional and state government representatives. Our work reaches adults seeking more meaningful careers, dislocated workers aiming to regain employment, and youth focused on getting the right start. 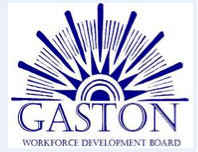 The Gaston County Workforce Development Board is one of twenty-three workforce Development Boards located throughout North Carolina. We are made up of a group of community and business leaders appointed by local elected officials. Additionally, we are locally staffed by individuals with years of experience in our specific local and regional economy. Gaston County is located just west of the city of Charlotte in the south central region of North Carolina. We have 14 cities and towns within the county, as well as rural areas. Our area has a diverse industrial base. We’re home to the 9th largest public school district in North Carolina, as well as Gaston Community College. CaroMont Regional Medical Center is also located in Gaston County. Please watch our video and learn more about the exciting services available to the Gaston County community. If you have questions or would like more information please contact Sally Heglar, Gaston County Workforce Development Board at sally.heglar@gastongov.com. The federal Workforce Innovation and Opportunity Act (WIOA) provides funds that support the program and activities of North Carolina’s Workforce Development Boards. North Carolina’s WDBs partner with the North Carolina Division of Workforce Solutions, a division of the Department of Commerce. The Workforce Development Boards are designated by the Governor to be the state administrative entity that receives funds under the federal WIOA. Thru WIOA there are program opportunities for Adults, Dislocated Workers, and Youth. The Division of Workforce Solutions also provides Veteran Employment Services, programs specifically tailored for Veterans who are seeking new careers. Through the work at the local WDB level we help employers find the qualified talent they need to insure their business prospers.